This is our second set of 3 Pig-faced Orc warrior variants, armed with spear, voulge, and two-handed sword. Sculpted by Kev Adams. They are cast in lead-free pewter, with separate shields, and supplied with 25mm round slotted bases. Otherworld Miniatures are supplied unpainted. 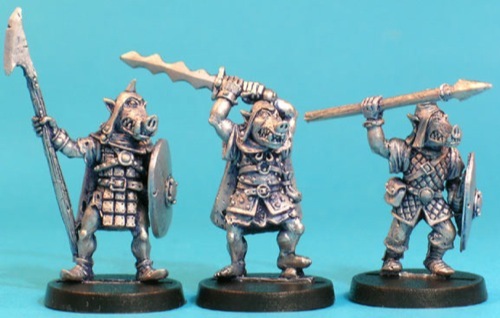 Sign in to start a discussion about Pig-Faced Orc Warriors Set 2 (3)!